Capital FM, described as the UK’s No. 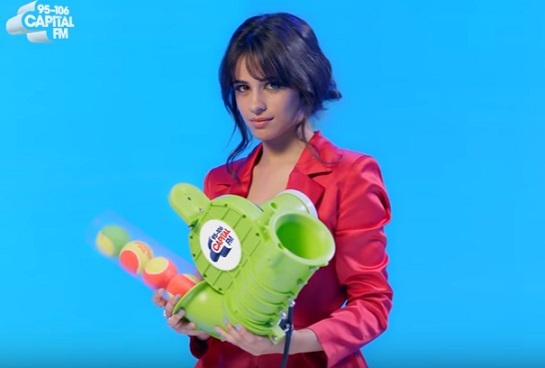 1 Hit Music Station, has released a new advert, featuring Shawn Mendes, Camila Cabello, Anne-Marie and a whole host of others stars. The 30-second spot opens with English singer/songwriter Anne-Marie asking a voice-controlled speaker to play Capital, which leads to a series of events including Camila Cabello throwing balls at Roman Kemp and Shawn Mendes trying his hand a little hockey. Footage from this year’s Summertime Ball, where Little Mix and Years & Years owned the stage, as well as appearances from Taylor Swift, Rita Ora and Dua Lipa are also included. The soundtrack music is the 2018 single “Just Got Paid” by English DJ and record producer Sigala, English recording artist Ella Eyre and American singer Meghan Trainor, featuring American rapper French Montana. Camila Cabello, Shawn Mendes, Charlie Puth, Clean Bandit, Jonas Blue and British hip-hop and grime artist Stefflon Don were also among the artists that performed live at this year’s Summertime Ball with Vodafone, which took place on 9 June at Wembley stadium. Camila’s show marked her first solo appearance at the ball.